CINCINNATI — The case of Mary Frances Page, a 99-year-old West End woman whose apartment building was purchased by FC Cincinnati, appeared to reach a partial resolution when team spokesman Mark Mallory promised she would not be forced to leave before she found another appropriate place to live — even if she did so after the April 30 deadline. Dozens more tenants at her Wade Street building and others purchased by the team remained in limbo, worried for their futures and the future of their community. FC Cincinnati’s long-sought Major League Soccer stadium began construction in December at the former site of Willard Stargel Stadium. Although many West Enders were — and remain — excited to see a major new investment in their often-overlooked neighborhood, others were — and remain — skittish about the effect of a $200 million project on the cost of living nearby. The median income of a West End household was $12,808 as of the 2010 census. The team's acquisition of residential buildings on Central and Wade seemed to confirm some of those fears, members of a group called "FightBack Cincinnati" said Tuesday. They issued a letter to FCC president and general manager Jeff Berding demanding that FCC "cease threatening to displace us from our homes." The group also demanded a meeting with Berding. RELATED: FC Cincinnati says it didn't know buying West End apartment building would displace 99-year-old. “We’re squeezed in between all of this. It is so unfortunate. 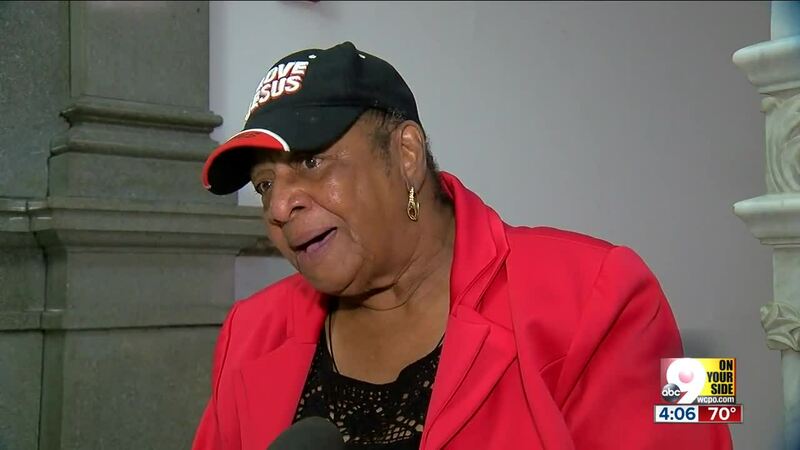 I know it’s injustice,” said 79-year-old Rachel Anderson, who spoke to City Council. She is not in immediate danger of being evicted but said she worried it could happen in the future. Mallory announced the meeting about Page shortly afterward but did not address FightBack Cincinnati. Although Mallory's Monday comments included a promise that the process of acquiring the Wade Street building would be slowed, representatives said Tuesday only Page was exempt from the deadline. FC Cincinnati said they plan to make sure there is still low- and middle-income housing available for residents in the West End. But Anderson still worries about how the community she loves might change. “Community means working together, looking out for the benefit of everybody — the big guys and the little guys," she said. "But that doesn’t happen in Cincinnati anymore. It does not happen,” she said.